A member of the group relaxes while waiting, with the equipment ready, for the surf to calm down. 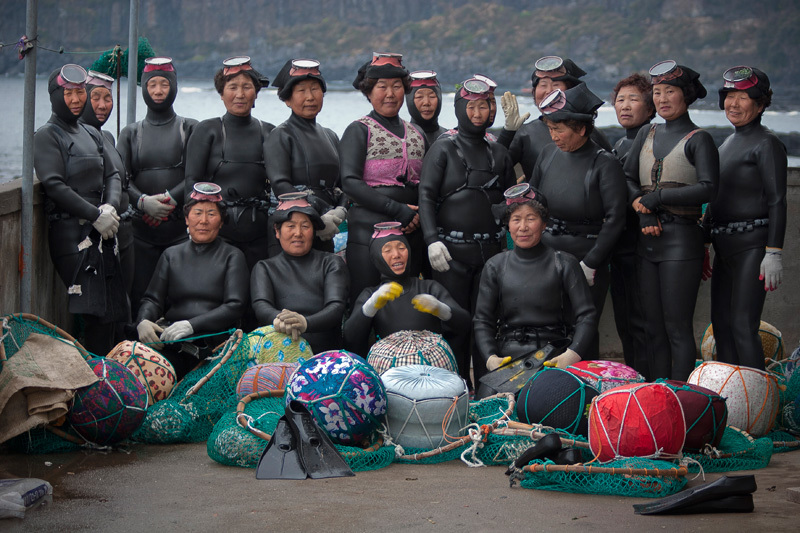 The haenyo diver women of Tae Pyeong pose before the dive. Their socioeconomic model is surprisingly balanced and honest. Their system is based on a moral economy, in which the mutual belief in the preservation of natural areas and resources is essential. 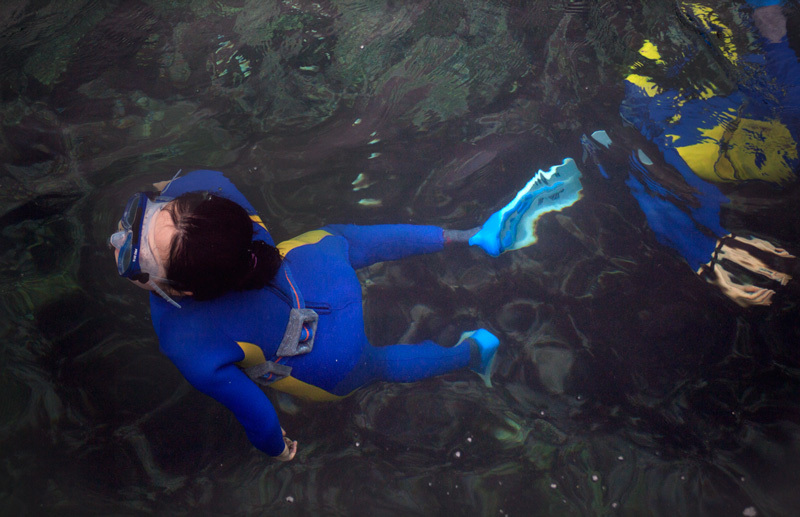 Each diver customize her "taewak" (float) to be recognized once in the water. 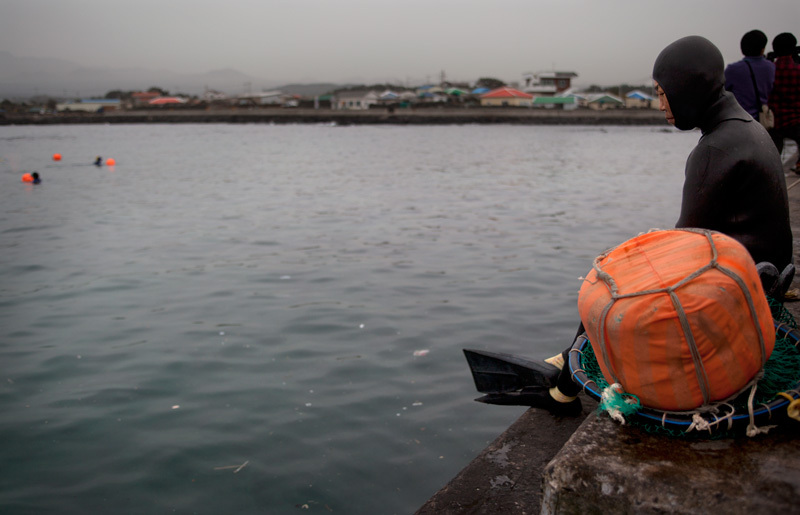 The "Haenyo" leader observes her companions on their way to the sea from the community house. 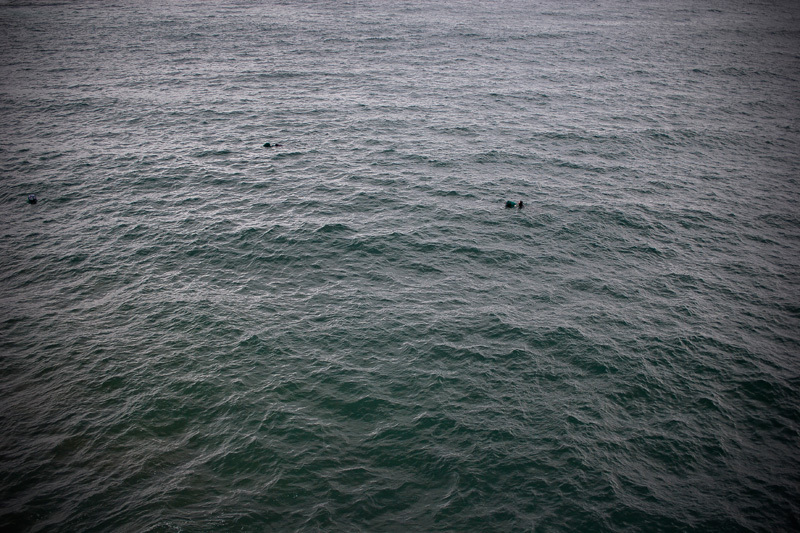 On their way to the water. "Haenyo" women always operate in teams. The "Haenyo" leader, at the right, has last words with a companion before the inmersion. This matriarchal society has earned its reputation as strong women. 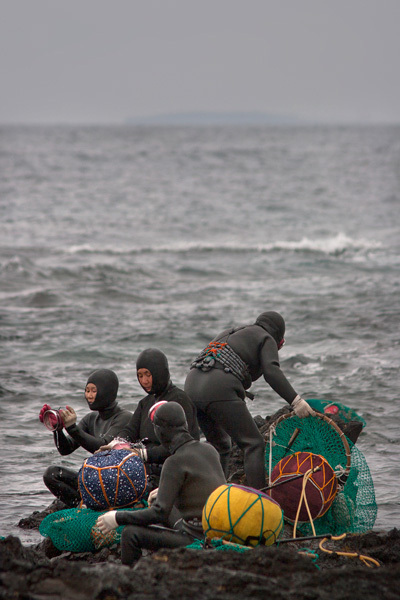 10:00 AM; a group of divers is prepared for the working day. 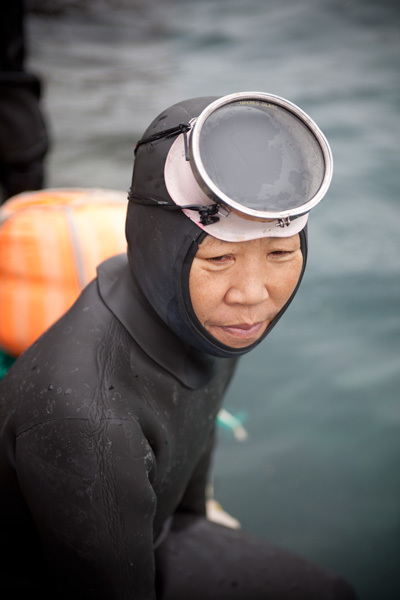 The average age of the women divers is 75 years. With little generational relief, the future of this community is in doubt. 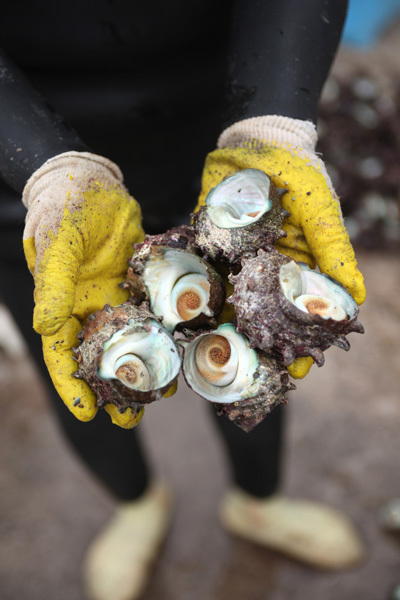 The community considers the sea as a farm or marine garden. The shamanistic beliefs consider the place where we act, if still preserves its natural characteristics, as a sacred place. The interaction between humans and the environment create an spirit (in the case of the sea, a dragon) that provides food depending on our attitude towards the enviroment. 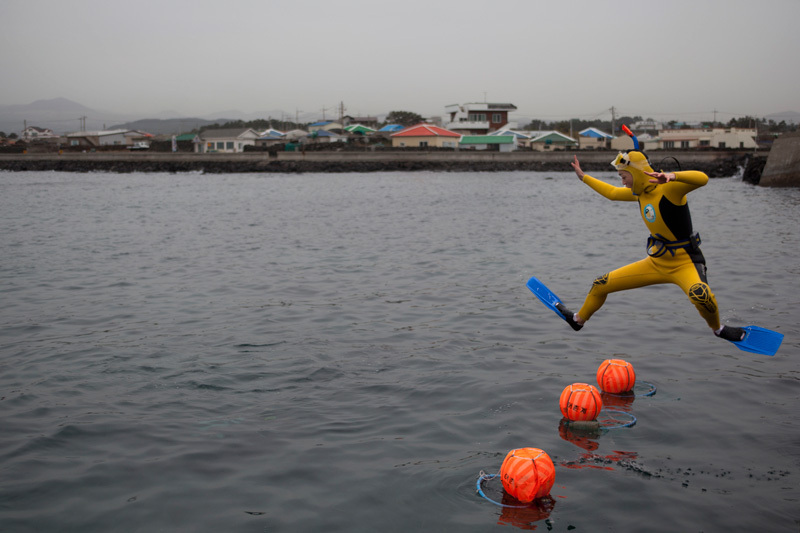 The "Sumbisori" is the revitalizing whistle expelled by divers when they surface. Some call it "the song of the wales". 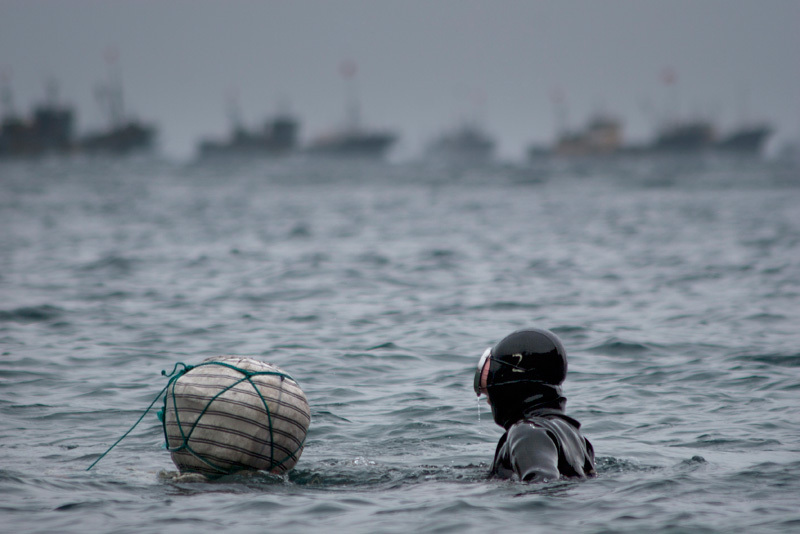 The Chinese fishing fleet in the background, waiting to operate in waters of the Sea of Japan. 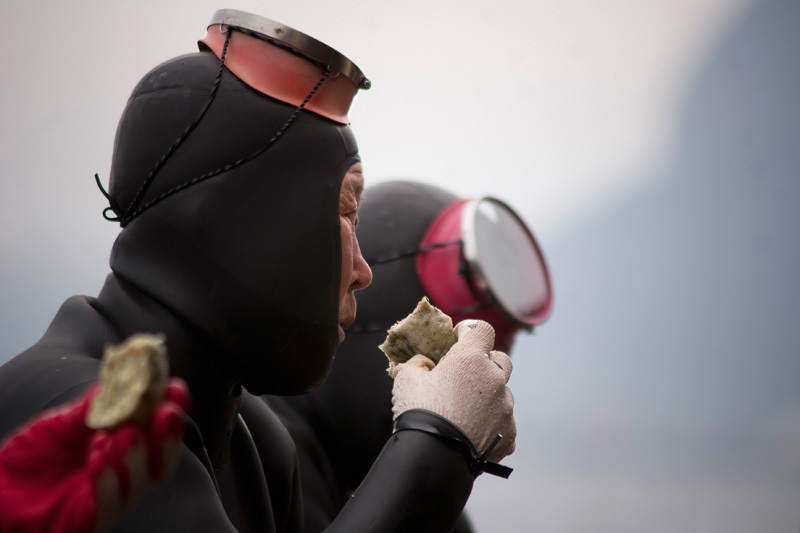 For centuries, the work of the divers was considered dirty, dangerous and difficult. Today this society is no longer undervalued, as the example of their traditional "modus vivendi" perfectly meets the current need for sustainable models. 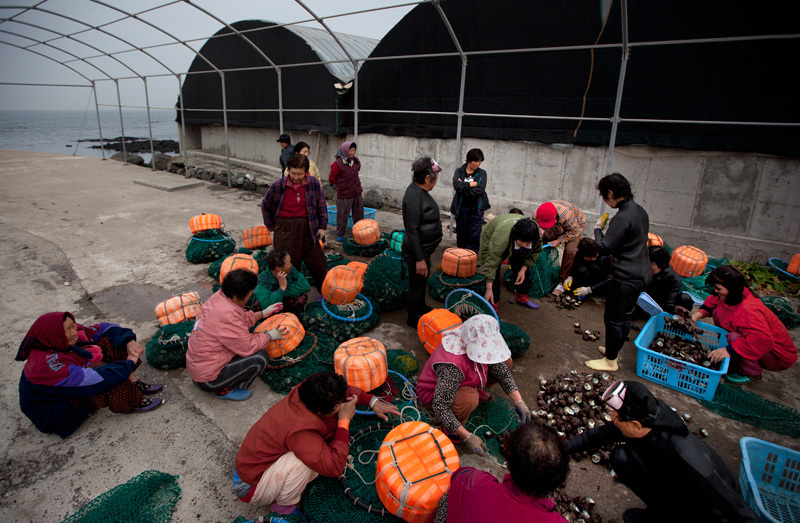 Once the work is done, the women help each other to load the net before heading back to the community house. 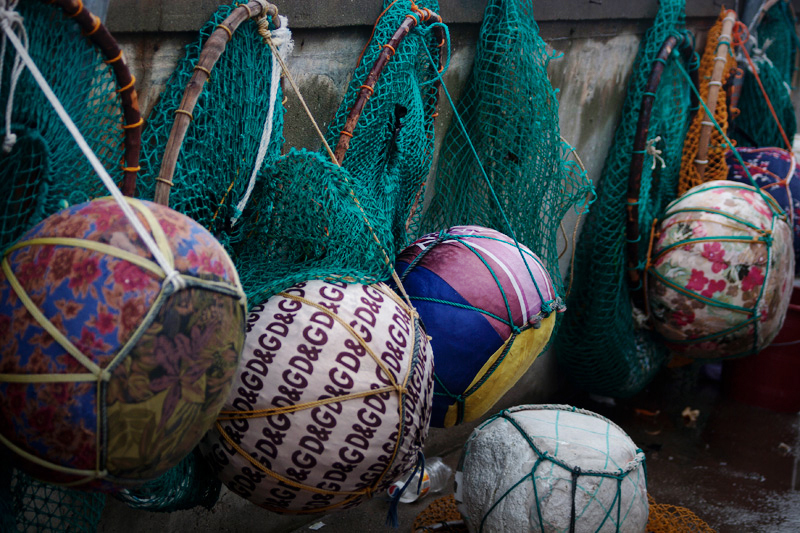 Each of the nets weights approximately forty kilos. 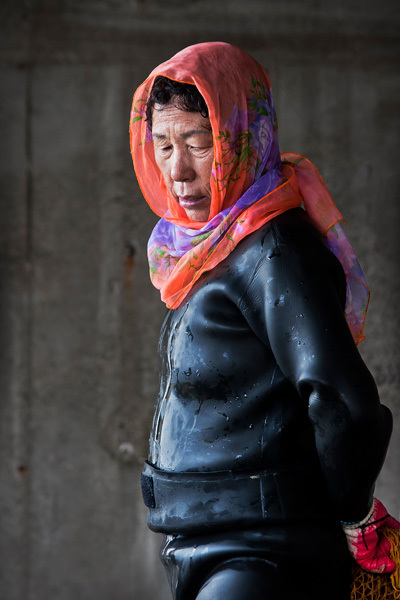 The Haenyo community of Kim Yong cover the floats with reflectant fabric to be seen in the water. Returning to the Community House after the workday. A hot soy cake after immersion helps to recover. 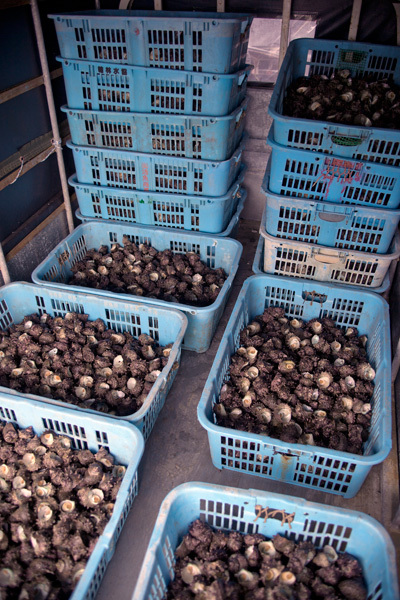 The economy of this society is based on the harvest of this mollusk named "Sora", which is sold in national and international markets. 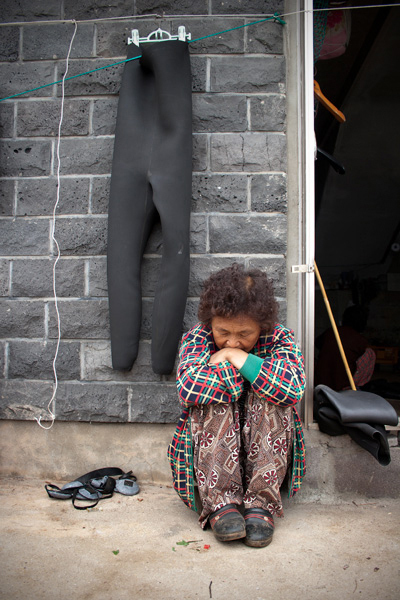 At the end of the working day, the divers gather in the communiy house to pool their catches. 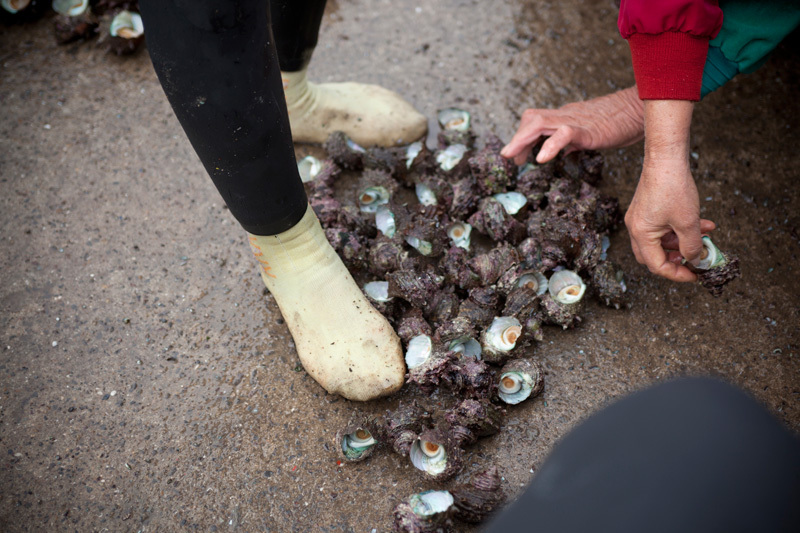 Team work: different hands picking out the mollusks to be measured. The small sized Soras will be returned to the sea. 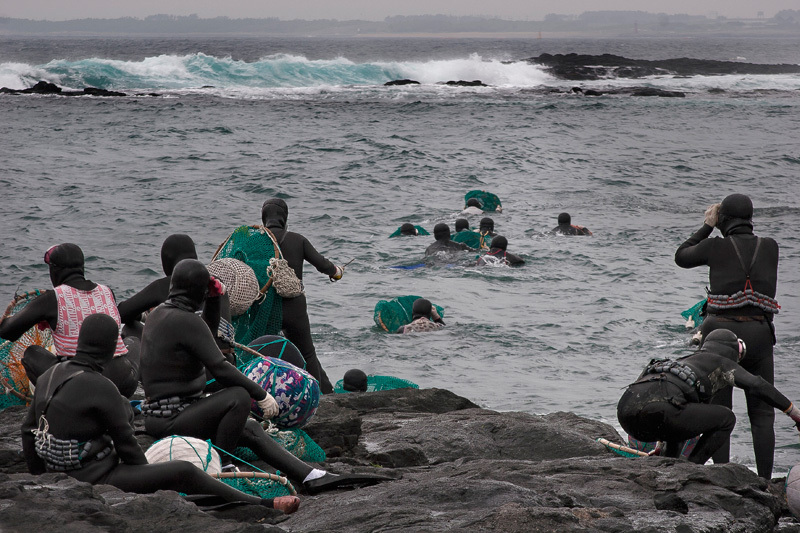 The catch of "soras" are pooled and sold to fish markets in the area. The sale benefits the whole community. 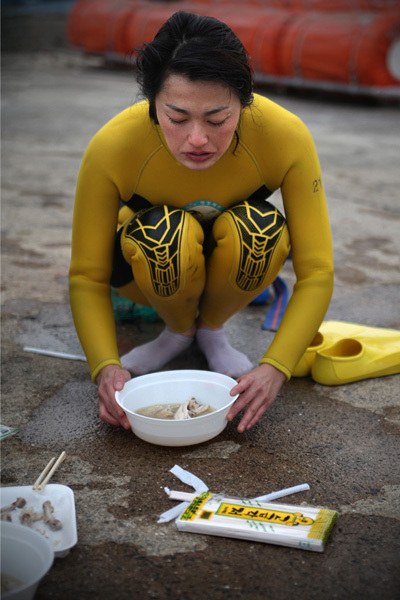 Yang Cheong Sook, still wearing her wetsuit, observes the catch of a companion. To prevent loss of heat, she covers the head with a silk scarf. 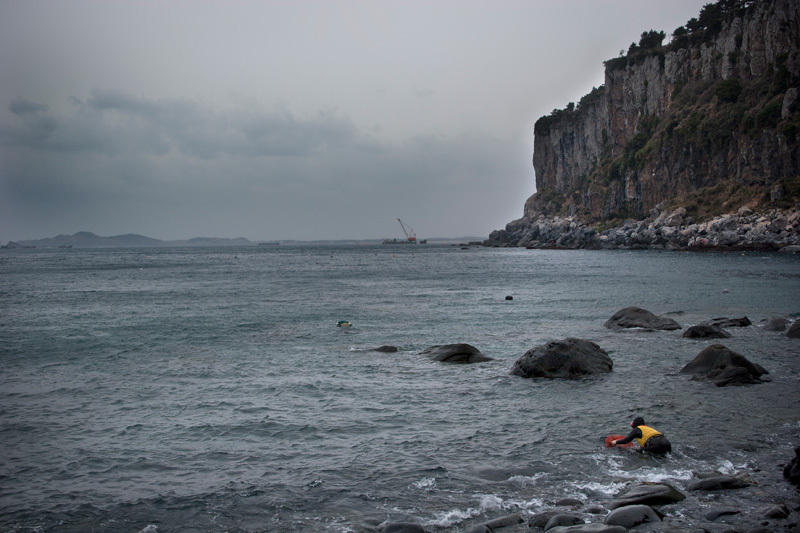 A diver is heading to the sea to return the small sized "Soras". This matriarchal society believes that humans and nature must coexist in a harmonious balance. 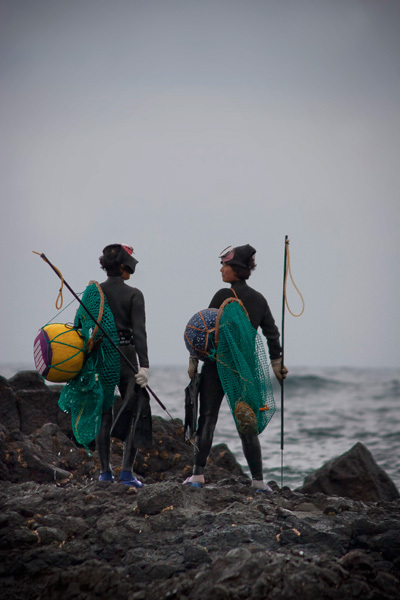 The haenyo matriarchy works together in and out of the water. It works communally to the benefit of the whole community. 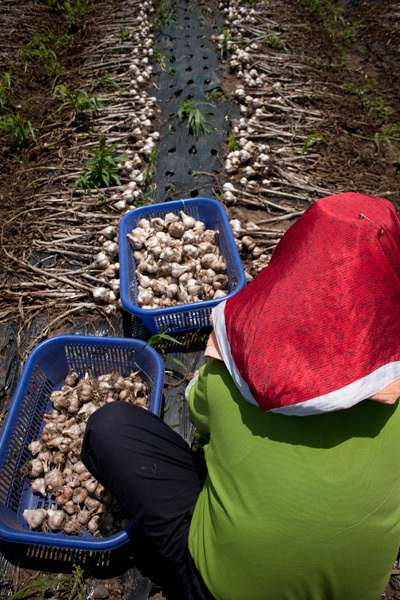 Out of the water they grow crops such as garlic, onion and tangerine. 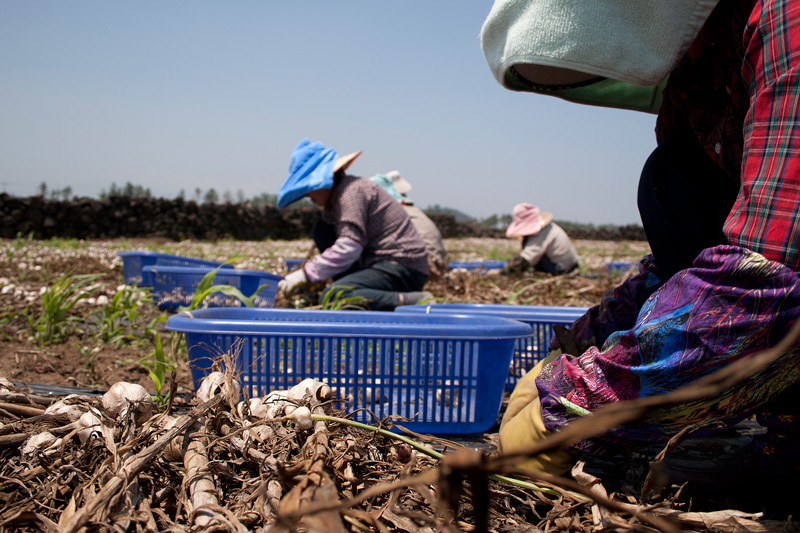 The communal system of this society, linked to Buddhist and shamanistic beliefs, ensures these women a balanced socio-economic system that has been stable for centuries. Ahn Mi-Jeong, anthropologist from the department of cultural anthroplogy in the Hanyang University (Seoul), inside of a tube intended for the construction of a desalination plant. 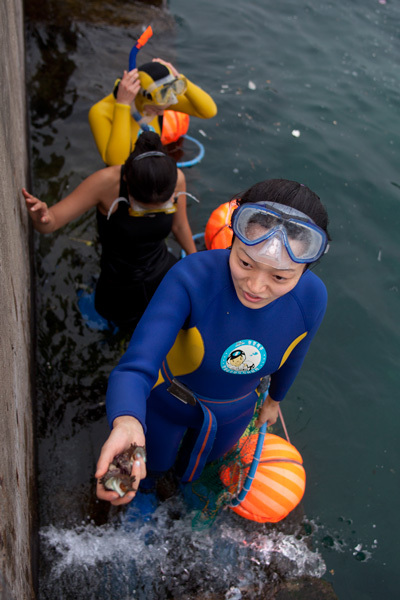 The haenyo community managed to stop the project due to the risk of polluting the sea waters. 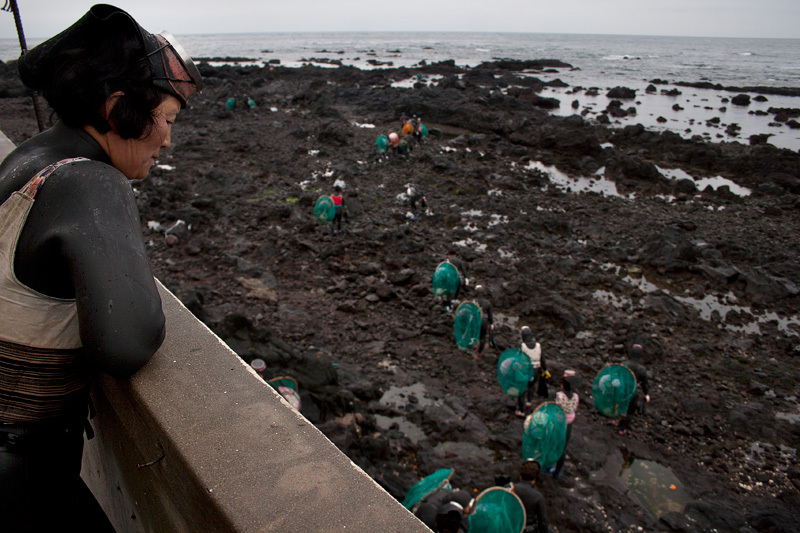 A Ssan-gun diver (very skilled diver) observes her apprentices before starting the training session. 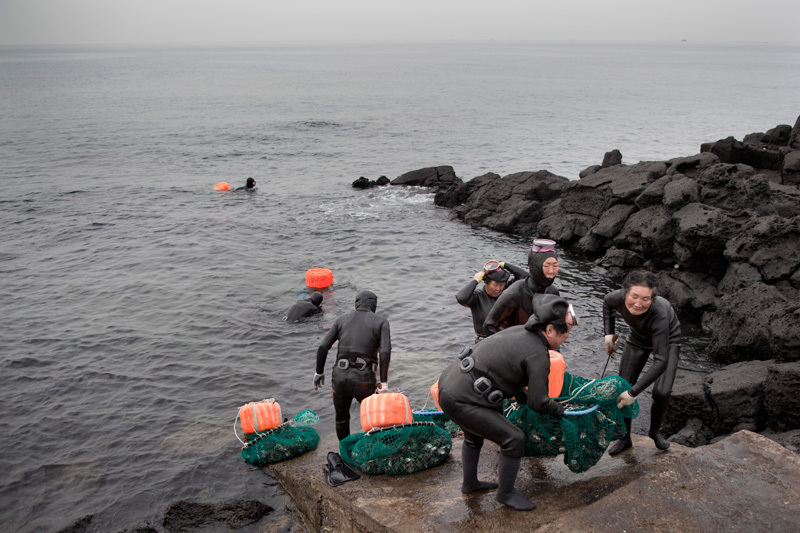 The divers follows a hierarchical order according to their level of experience: Ssan Gun: very experienced diver; Jung Gun: intermediate; Ha Gun: inexperienced. 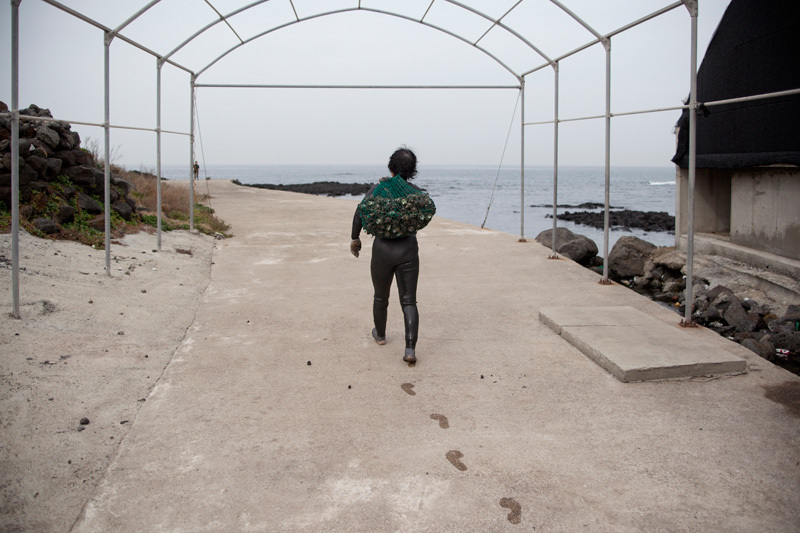 An apprentice of Haenyo or "ha-gun", jump into the water to start her training session. 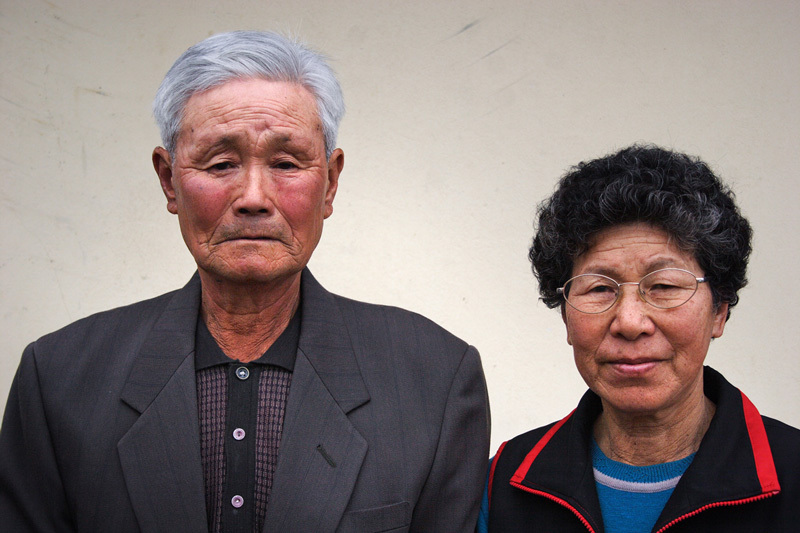 The haenyo community, growing old, in urgent need of new generations for continuity. The trainer (Ssan Gun) relaxes before starting the training session. 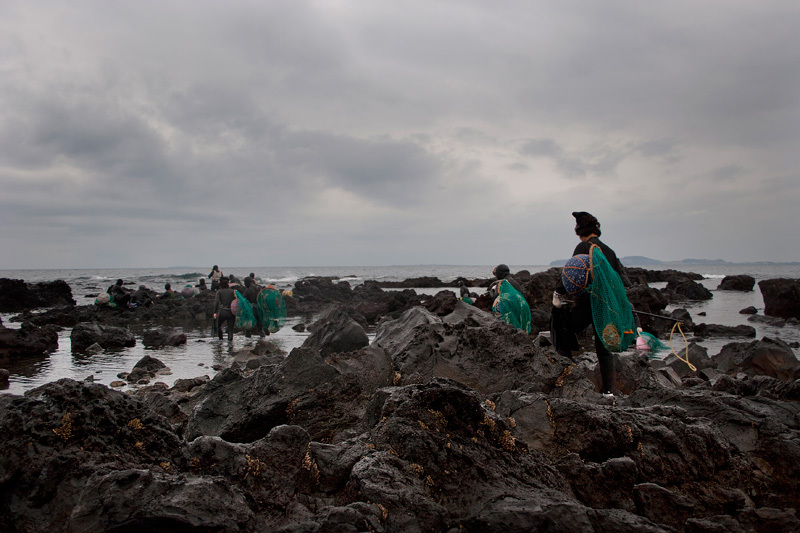 Searching for abalone and conch off Jeju Island's lava rock encrusted shoreline. The divers emerge from the water with their first results: still immature soras. An apprentice warms with a hot soup bowl after the "Haenyo" training session in a cold day. Lady Yang Cheong Sook at home with her husband. 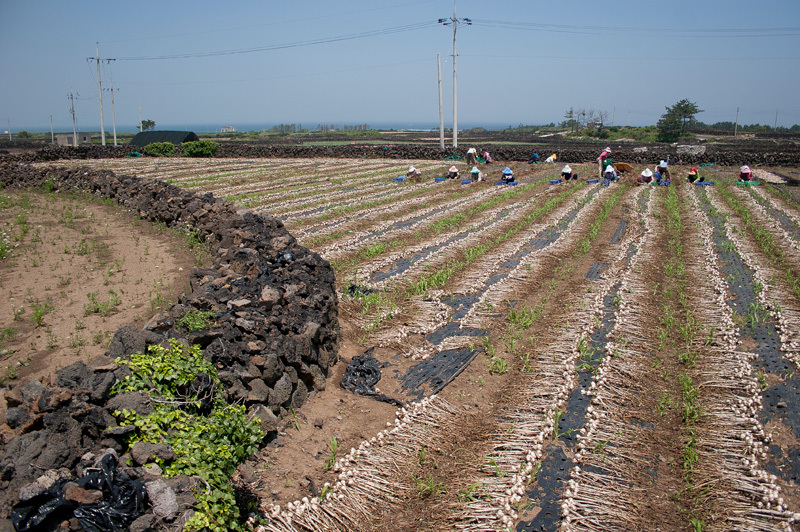 The economic approach followed by the "haenyo" community is moral. The mutual conviction to preserve the environment, forms a balanced and honest social structure based in clearly femenine criterias.